The Groveland Cemetery Board of Directors strives to make Groveland Cemetery a quiet, beautiful resting place for the deceased and a peaceful setting for visitors. The sacredness of this place should be maintained at all times. It is to this end that these Rules and Regulations have been adopted. 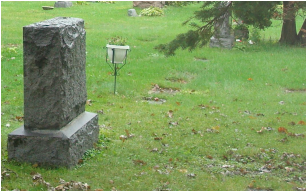 Click on the link below to view a current copy of the cemetery rules as established and maintained by the Groveland Cemetery Board. The document is in PDF format.